Help! One of My Wedding Vendors Cancelled! 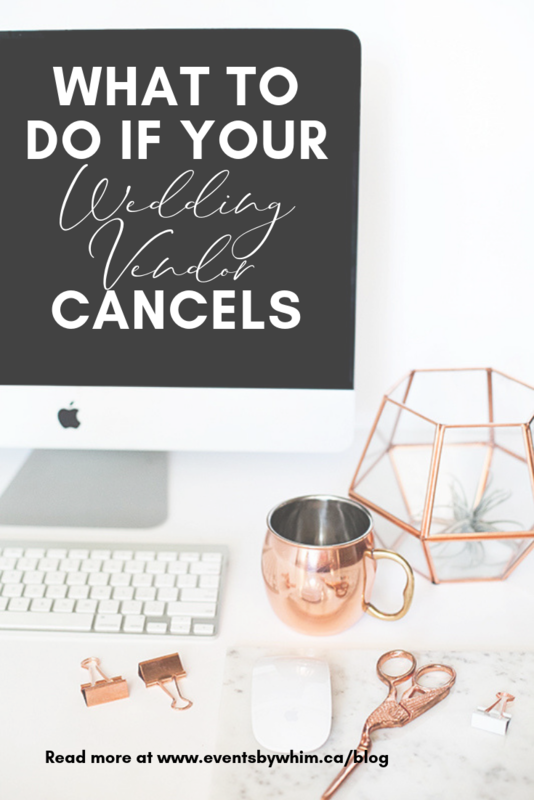 What do you do if your Wedding Vendors Cancel? This is going to sound silly, but try not to panic. As stressful as it is when you get notice that a wedding vendor is having to cancel on you, chances are there is a solid reason for it. 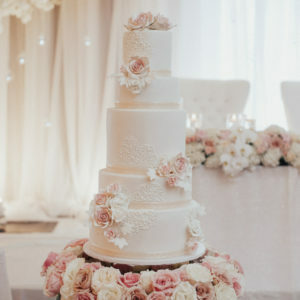 Most wedding vendors are well intentioned people who also have families, personal lives and any host of things that could cause an emergency to come up. If the vendor wasn’t legit, they would have ghosted on you and attempted to keep your money (we have seen this before, too). The fact that they are reaching out means that they are just as committed to helping you find a solution. 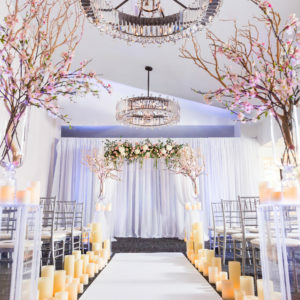 Here are a few things to keep in mind before and after booking your wedding vendors. 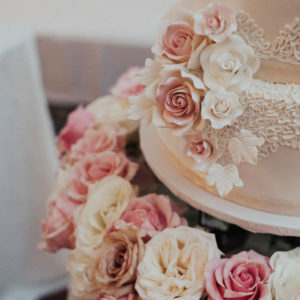 Wedding insurance liability policies often have additional optional provisions that can save you a LOT of frustration and money if a vendor happens to cancel on you. Click here to read more about enhanced wedding liability insurance. Policies cost as little as $55.00 for a LOT of peace of mind! Do keep in mind that vendors are not required to disclose the nature of personal issues even though some will. Remember to be gracious as this person is navigating murky waters that have blurred across personal and professional lines. It’s easy to only think of the wedding but a little compassion goes a long way. 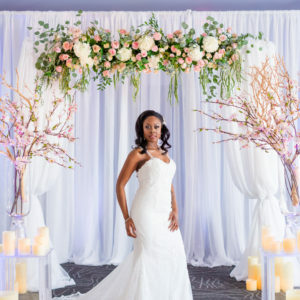 Chances are, your vendors are doing everything they can to deliver the perfect wedding for you, and are considering alternatives in case they cannot. So what do you do if a wedding vendor cancels? Anyone providing a service or product should have a cancellation clause in their invoice and/or contract. This clause will outline what happens if the client cancels vs if the vendor cancels. Typically if a client cancels within a certain amount of time, there is a forfeiture of initial payment (deposit). Usually if a vendor cancels, there is a full refund of the amount paid. If there is a partial cancellation (ie some services will still be provided) the amount paid is adjusted on the final invoice. Chances are, they’ve done this already. Like I said before, it’s stressful for a vendor to have to cancel. 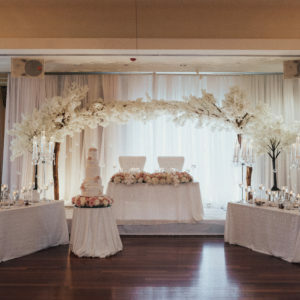 This is their livelihood and most wedding vendors are very keen to provide end-to-end excellent customer service. In the unfortunate instance of a cancellation, chances are they have sought out alternative vendors available on your date to cover the service or product they are providing. Some vendors will do this under their contract with you on the back end, others will have you cancel with them and create a new contract with the new vendor. 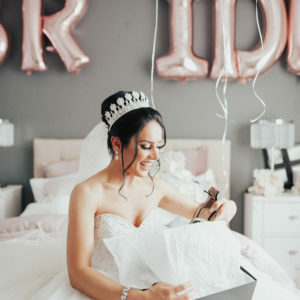 Not to throw in a shameless plug, but wedding planners have the resources to find you vendors very quickly. Not only that, they are finding you reputable vendors that can provide the same, if not better, quality than you originally contracted. I’d love to say that hiring a wedding planner from the onset means that you won’t have any vendors cancel, but that wouldn’t be fair. To my beautiful couples out there in internet-land reading this – if a wedding vendor cancels, they probably are mortified. Chances are they are super stressed about letting you down, and also with whatever it is that has caused the cancellation. You do have options, and don’t be afraid to ask your original vendor to help you navigate this tricky issue. 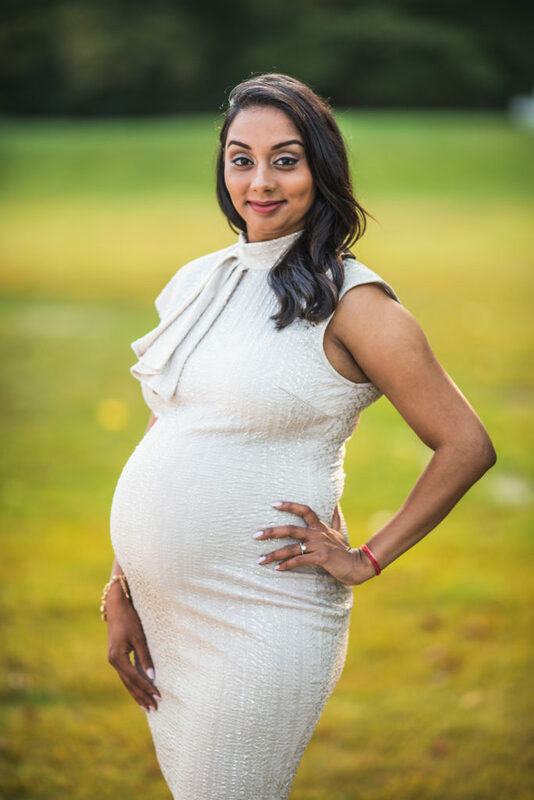 How to Interview Wedding Vendors Like a Boss! Are you having a tough time sorting through the tons and TONS of vendor options available? I know I did back when I was planning my own wedding! 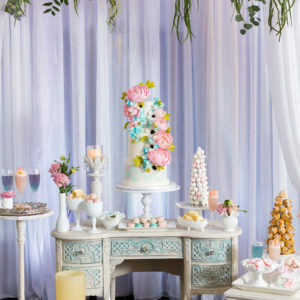 It’s not easy wading through the abundance of options available in any market – it feels like every year there are more and more wedding vendor options to sort through. How can you tell who is legitimate and who isn’t? 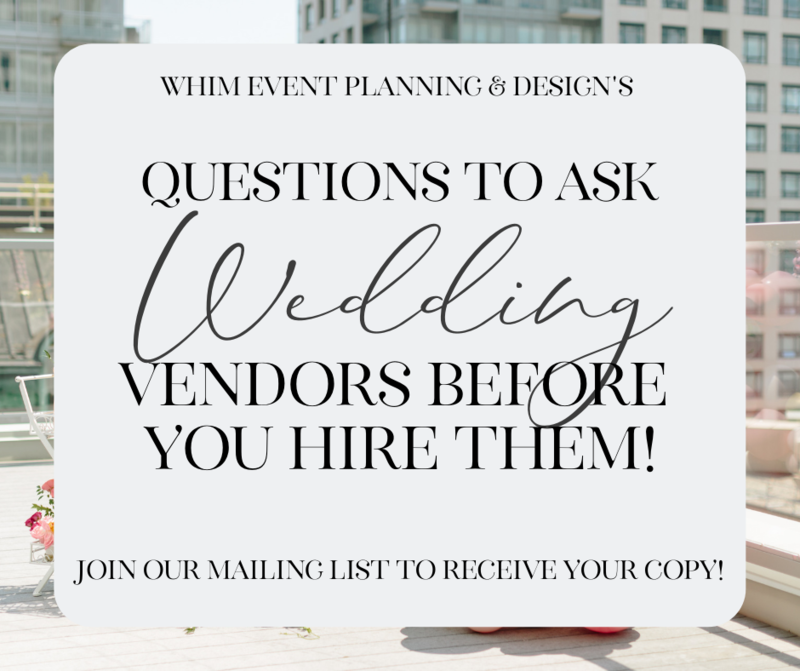 Hiring any vendor is a big decision, and so we have come up with a comprehensive list of questions to ask wedding vendors before you hire them! As a fun way to start the week, we’re giving away our comprehensive list of questions to ask wedding vendors, along with some helpful tips while you’re meeting with them. Each set of questions is categorized based on vendor type. 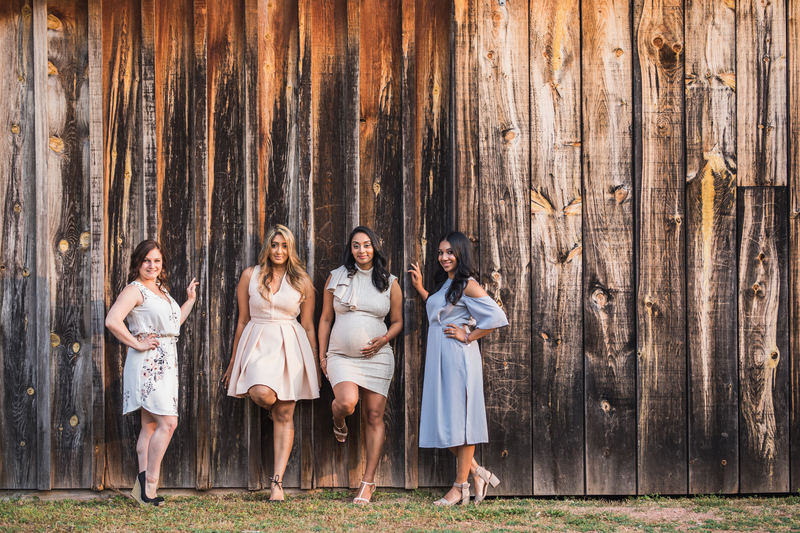 We want you to walk into all of your vendor meetings feeling confident and knowing that by the time you walk out, you have a great idea of if this person is a good fit for your wedding tribe. Click here to get full access – don’t worry, we don’t share your info or ever spam you! Let us know if we missed any questions – we will keep updating it as we go along and continue to give you the most recent version! A few years ago, Janean and I connected in my office and we had such a lovely conversation. 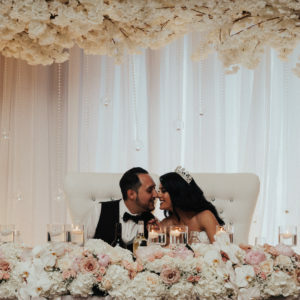 Janean is a smart, beautiful and above all kind soul who had a very specific vision for her wedding – dreamy and romantic with large, lovely blooms. I had the best time working with Janean and Carlo to create a design that stayed true to that vision. 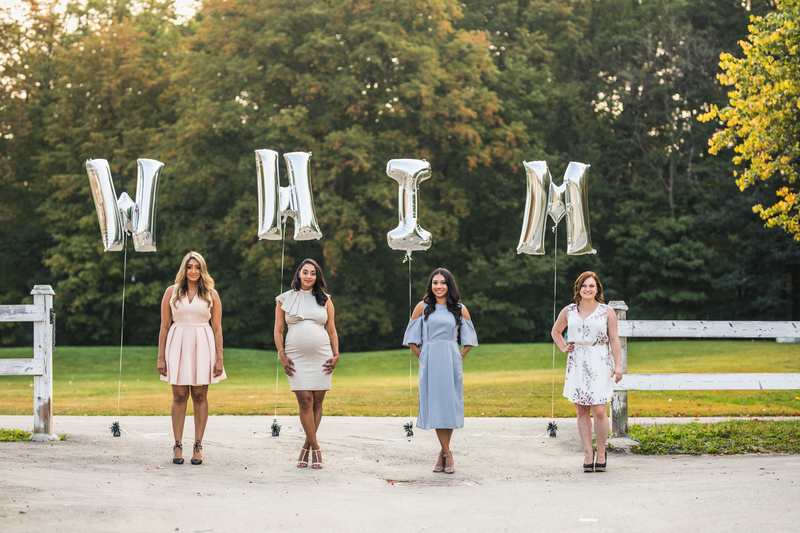 Check out the fabulous pro photos from Yasmeen Mesrie’s team over at Muse Moi Studios! We loved this soft palette. 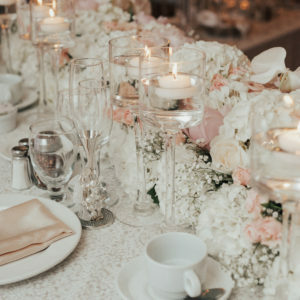 We focused mainly on a lot of ivory and white with touches of very antique champagne and pink tones – nothing overly bright, and the barest hint of greenery with tons of romantic candle light. Janean is more into full blooms rather than greenery, and while we love both, we can respect that choice, too! 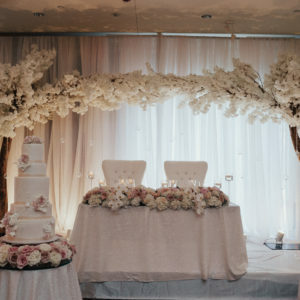 A standout feature of this design was the full floral ring around the beautiful cake from Sammy Cakes and the oversized cherry blossom arch hanging above the head table. 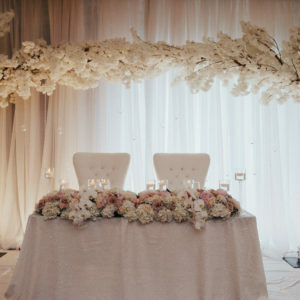 We loved the use of all white drapery and cherry blossom stems, which in turn caused the full fresh floral head table runner to pop even more. The entire bridal party was a treat to be around, and this crew had just the best day! 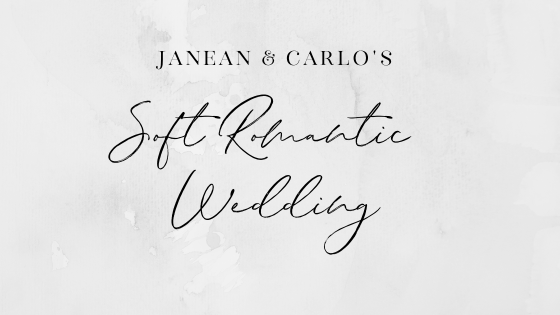 Janean and Carlo, we’re wishing you the best that married life has to offer. We were honoured to be a part of your big day and we can’t wait to see what else life has in store for the two of you! A huge thank you to the amazing team that worked so hard on this amazing wedding! The last thing you probably want to think about when you’re planning the most important day of your life is divorce. The fact is, many couples today have blended families and/or divorced parents. This can create awkwardness during key moments during the wedding if not approached with sensitivity and open communication. My parents had a rather acrimonious split when I was around 5 years old. I had some of these very same constraints to consider, as well as stepparents and estranged extended family members. I won’t lie, I had a few moments of real anxiety while I was planning, but in the end, all was well. 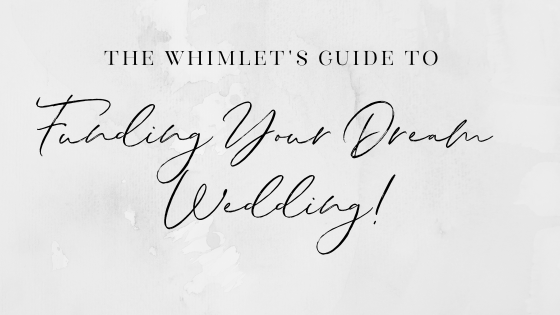 Here are a few tips that I followed to minimize the awkwardness on the big day. 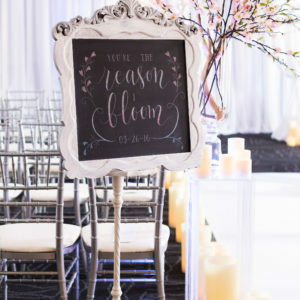 Start the conversation well in advance of the wedding and get their input on important items like invitations, receiving lines, seating and dances. This should be a well thought out meeting, not a quick chat in passing. Be sensitive to areas where they may feel insecure. For example, if one parent is remarried and the other is single, perhaps suggest that the single parent still bring a date or a guest. Also be open and honest with your parents about items that mean a lot to you. For example, your parent may not be up for taking photos together, but they may agree to walk the bride or groom down the aisle. The key takeaway here is to listen to both parents and let them feel heard. Hopefully you will never go through a divorce, but they have and likely are feeling equal parts nervous and excited. Keep all of your cards on the table so there aren’t any surprises on the wedding day and be firm about your own boundaries. Your comfort is important here, too. It’s totally okay to not want your mom’s new boyfriend to attend if your mom cheated on your dad with him. 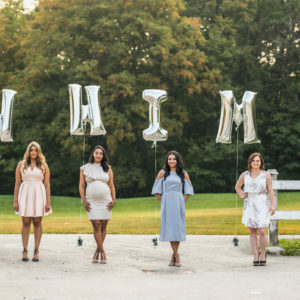 Just be sure that your mom is aware that this person is absolutely not invited out of respect for your father, so there aren’t any surprises and confrontations on the wedding day. It’s also okay to want a stepfather-daughter or stepmother-son dance if that person has played a big role in your upbringing, as long as everyone is aware in advance. Make sure both parents are aware of where they will be sitting, when in the program their speech will be and any other important details they are involved in. Keep in mind that no one likes to be caught unawares, and your wedding is a time for love, not petty revenge. The thing is, even though I had mixed feelings about my parents approach to parenting post-divorce and their relationship with one another, they’re both my parents. I found it very important to make them both feel recognized and loved for all that hey did to raise me into the person I am today. 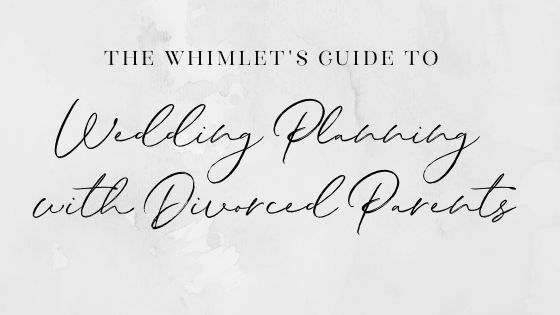 Divorce is tricky, and requires you to tread through your wedding planning with a ton of sensitivity. Unfortunately not every divorced family co-parents well, but following the tips above will help to minimize any discomfort all around. Feeling like you aren’t planning an authentic wedding is a crappy feeling. I can’t tell you how many couples have lamented that the wedding was starting to get out of hand and feels like something they’d not even want to attend. 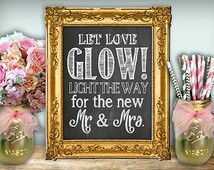 That makes me really sad, because weddings shouldn’t be about putting on a show – they are an opportunity celebrate (not showcase) your love. When the good folks over at The Wedding Pic reached out and asked if I would address the topic, I felt like it was a good chance to really let my thoughts on the subject loose. 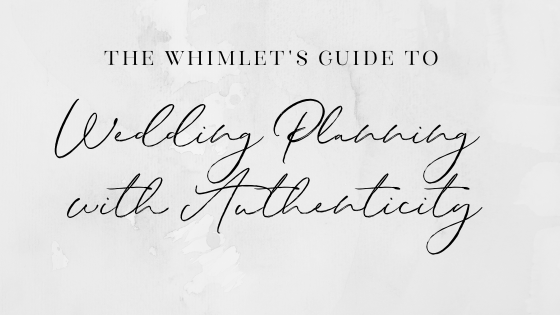 Authenticity in wedding planning is always on my mind, and truthfully, it’s something I evaluate when I do my initial meetings with couples. Planning a pretty day is well and fine, but I’m here for true love stories, and genuine, loving couples. If I don’t get that vibe in the initial consult, I awkward-Nick-Miller-moonwalk right out the door. 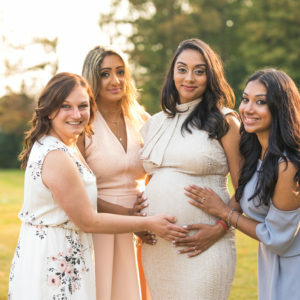 Check out the link below to read the article, and definitely follow The Wedding Pic, a leading Toronto-based Instagram influencer sharing engaging and inspirational wedding content and offering practical relationship and wedding advice for modern couples. Click here to check out our feature, and let us know what you think! Did we miss a great wedding fund source? If so, leave us a comment and let us know! We’d also love to know how you funded the wedding of your dreams! We get it, weddings are mad expensive. We’ve worked with our couples to develop rock solid budgets, to get us from “Yay we’re engaged!” to “I do!” With that in mind, we’ve collaborated with the fine folks over at The Wedding Pic to write an article outlining the most ways to build your wedding fund. It basically comes down to help from family, personal savings and lastly, credit. We’ve had couples using each method, or a combination therein, to build their wedding fund. Personally, I’m not a fan of the credit approach, unless its a short term solution. I realize that there are a lot of large payments that need to happen right before the wedding (hello, venue final payment! ), so I totally get using a credit line for cashflow purposes. However, I have actually turned couples away who have told me that they are piling on the debt to pay for the wedding. I just can’t get behind that – it’s much better to scale back smaller and start your married life without a whole pile of debt. As with any project involving money, there are benefits and detriments to each option, and we’ve outlined them all. 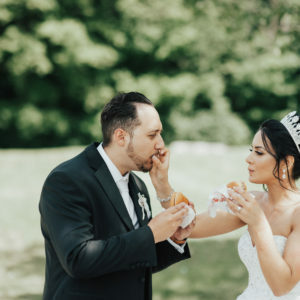 Click the link below to check out the article, and definitely follow The Wedding Pic, a leading Toronto-based Instagram influencer sharing engaging and inspirational wedding content and offering practical relationship and wedding advice for modern couples. Click here to check out our feature, and let us know what you think! Did we miss a great wedding fund source? If so, leave us a comment and let us know! We’d also love to know how you funded the wedding of your dreams! Our 2017 Team Photo Shoot with Tom Wang Photography! 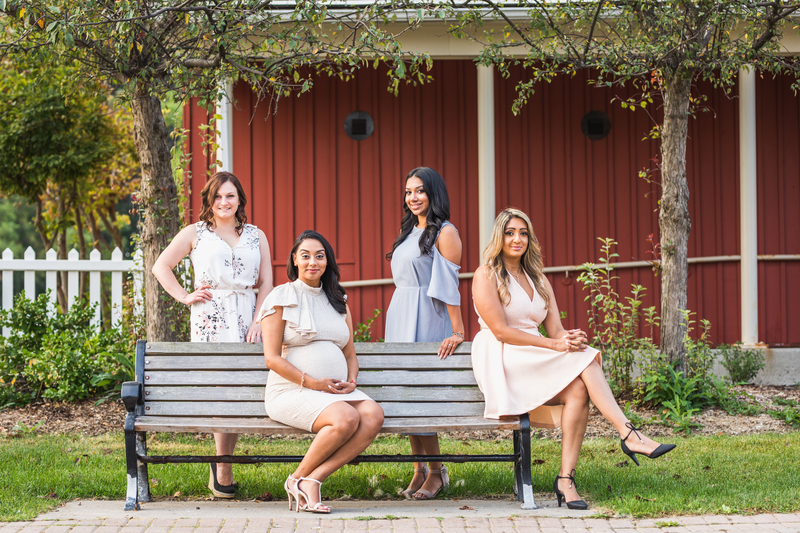 We have had a whirlwind 2017 wedding season, and to end it, we decided to get together and have a fun photo shoot with each member of our team. 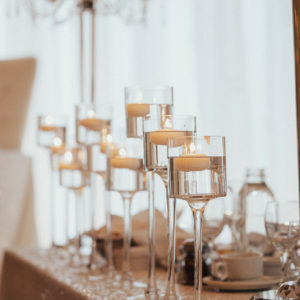 One of our favourite wedding photographers, Tom Wang Photography, offered to capture the details for us, and we couldn’t be happier with the result! 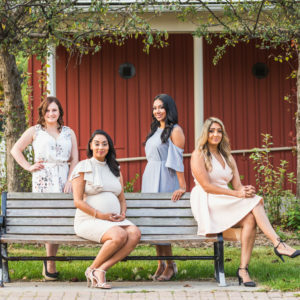 We are so excited for you to get to know our team, because this group of passionate planners want you to party with pizzazz! 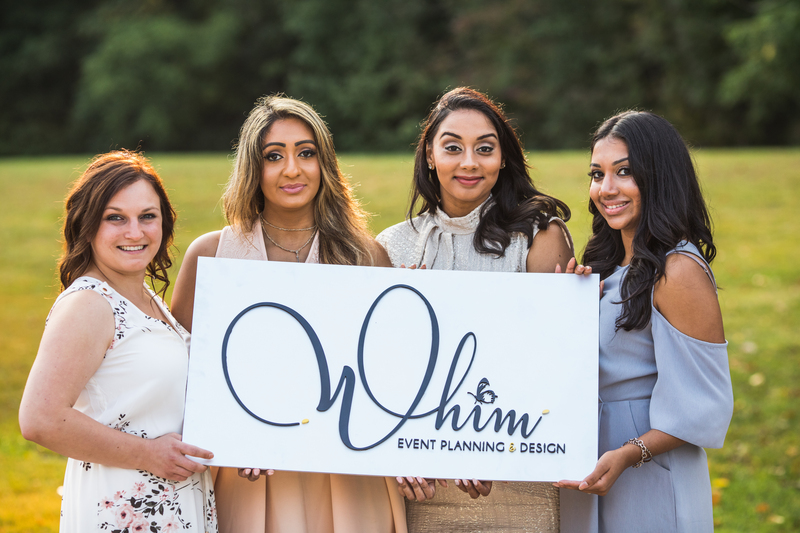 Alisha Chadee, one of Whim’s co-founders and lead planners, has a background in adult education and project management, plus several years of corporate event planning prior to starting up Whim with Michelle. 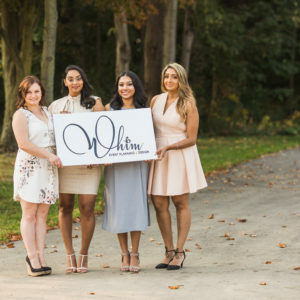 Alisha’s take on wedding planning stems from the belief that if couples are well-educated about the wedding industry and each aspect of the planning process, they’re more likely to make great decisions about their wedding. She cries at every wedding she plans, and her detailed itineraries constantly amaze her vendors. She thinks in floor plans, is a socaholic, and enjoys long walks to the fridge before watching Game of Thrones. 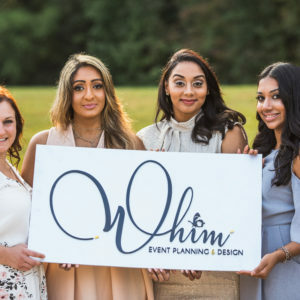 Michelle Brijlal, one of Whim’s co-founders, is a professional graphic designer who excels at event design, wedding stationery and custom signage. She feels strongly about personal branding, and thinks every couple has a unique love story, and she’s itching to tell it through print and pretty paper. 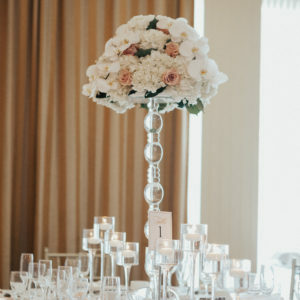 Though Michelle’s primary passion is event design, she also loves coordination, and it’s not uncommon to see her chasing errant bridal party members and setting up the receiving table just so on your wedding day. When she isn’t loving all over our couples, you can find her dreaming up new adventure, cottaging or hunting for the best oysters in Toronto. 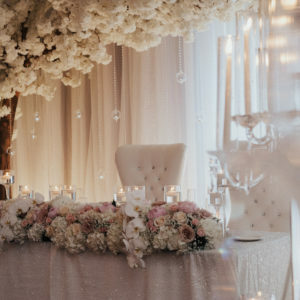 Ilina Dasgupta, our lead planner, is a creative genius when it comes to wedding planning. She believes that there is a solution to every problem, and loves working hard and playing harder! 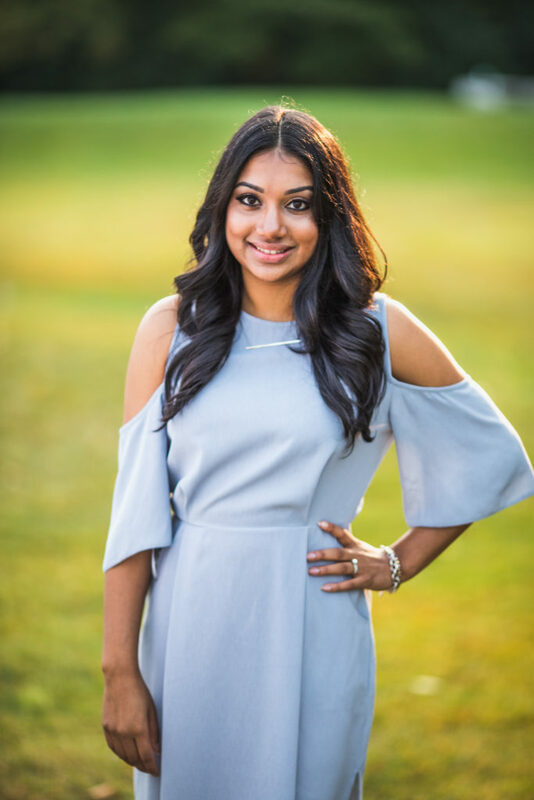 Her background in corporate finance has polished her customer service skills, and her other background in professional dance makes her a graceful hoot to have around the office! 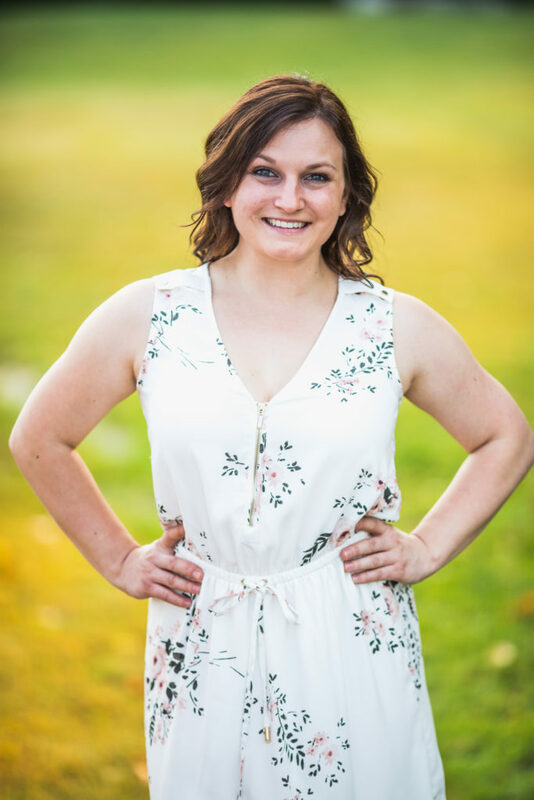 This firecracker is as creative as she is sweet, and works hard to bring all of her clients’ wedding visions to life! Sylwia Kwak, our lead coordinator, is a bundle of energy on the Whimlet team! 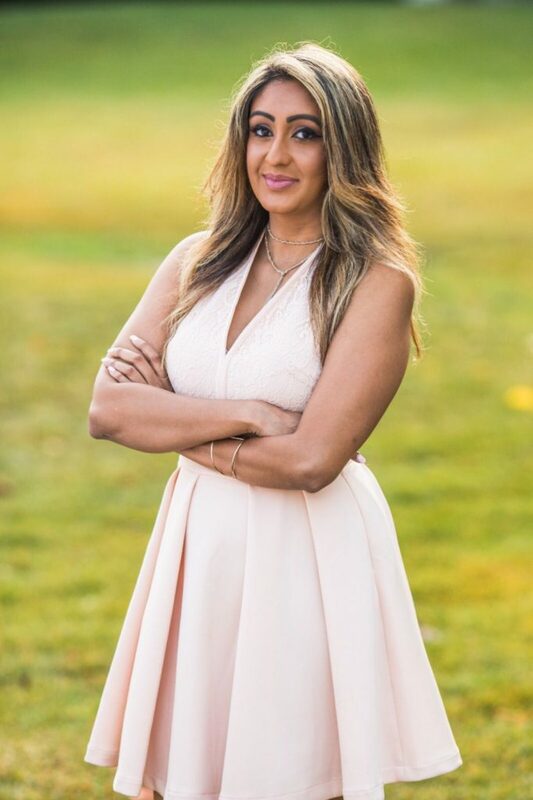 Her extensive experience in adult education, project management, and customer service in the wedding industry shines through when you work with her! She loves to sing and dance, so don’t be surprised if you see her tapping her toes along to the beats your DJ is dropping! We had such a fantastic early morning shoot with Tom, who is honestly so much fun to hang out with – as many of our wedding couples can tell you! He captured to essence of our team – we try to look fly (and more or less succeed) but we mostly like having fun together while we work! 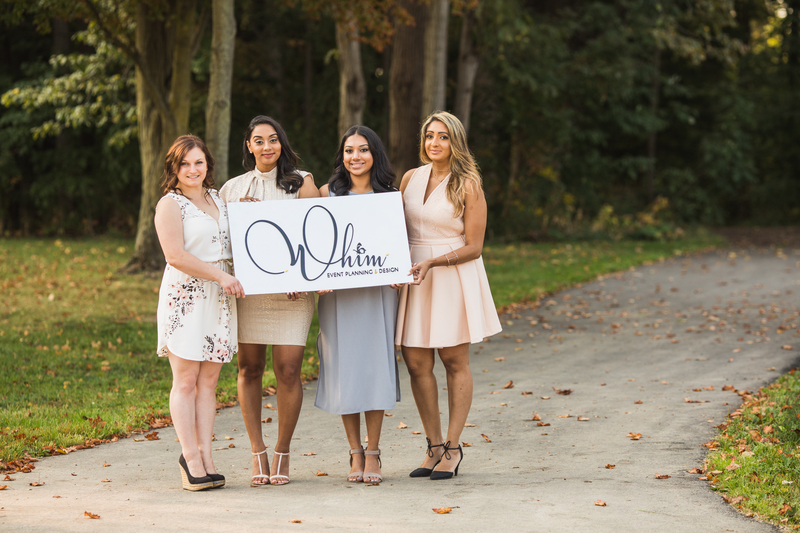 We’d also like to send a huge shout out to Straight Laser for our gorgeous new laser cut sign, which you’ll be able to see in person on display at Canada’s Bridal Show this January 2018, since Whim Event Planning & Design will have its own booth for the very first time! 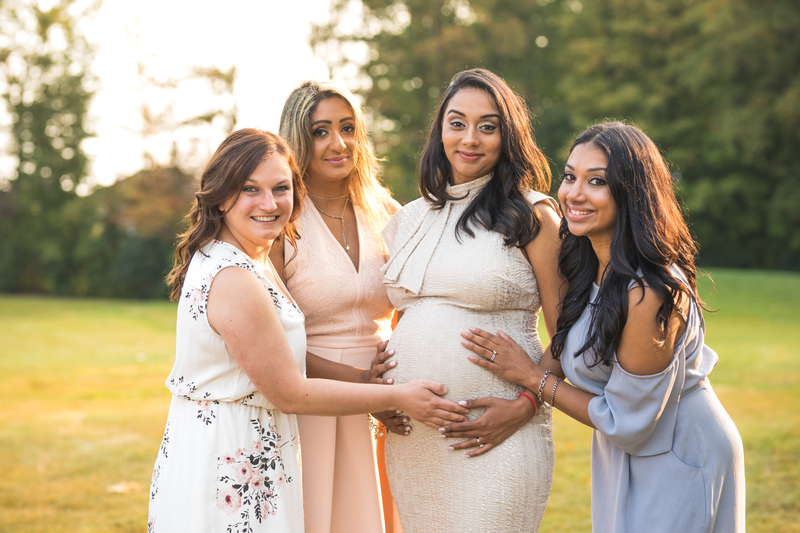 We hope you like our shoot as much as we do, as well as getting to know our team of wedding planners! 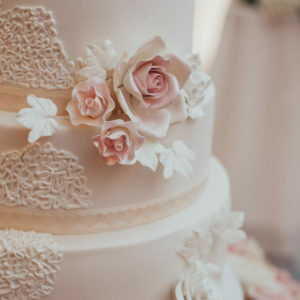 Our latest feature on Elegant Wedding Magazine’s Blog! We’ve had a crazy busy couple of months so far for 2017, and we’re really happy to see our work being featured all over the place! 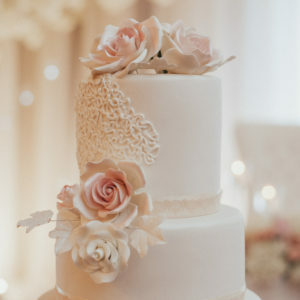 Our latest feature is on the Elegant Wedding Magazine Blog! 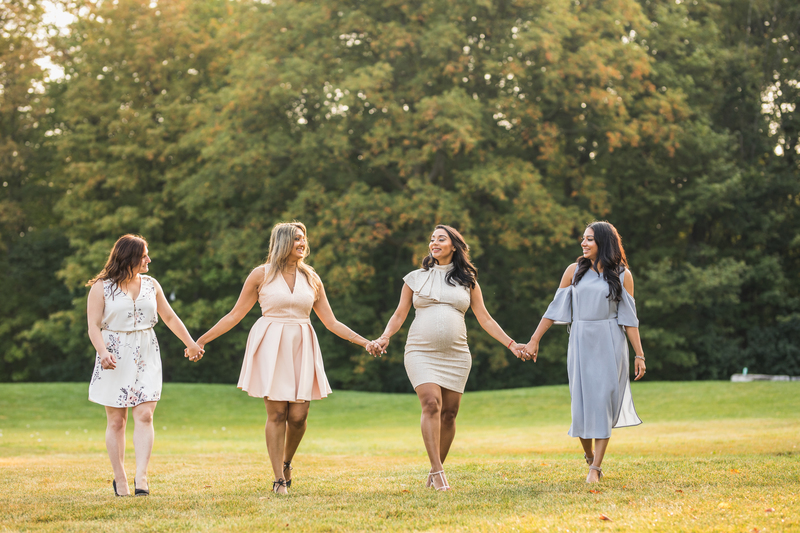 We worked on a stunning cherry-blossom infused styled shoot with some of our favourite friendors in the industry, and we couldn’t be happier with how it turned out! A huge thank you to our vendor team for making this amazing shoot happen! 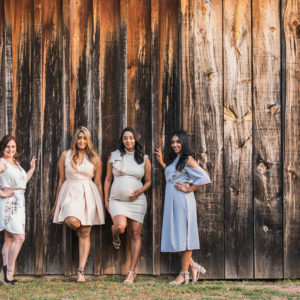 We know you’re probably super excited to have your little nephew stumble down the aisle as your ring bearer and have your fiance’s niece follow as the adorable flower girl, but the truth is, they may not be as excited for your big day as you are. 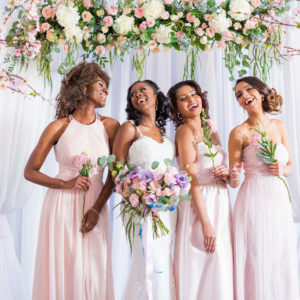 Once they’ve made it down the aisle and performed their duties, their biggest job will be sitting still the through the ceremony and keeping themselves entertained throughout the reception. We know you’ve worked hard to plan this beautiful day for you and your S.O., but you remember what it was like being 5, right? In their eyes, your wedding is just another family occasion where they’ve got to get dressed up and be (or at least try to be) on their best behaviour. 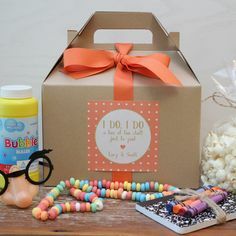 However, the good news is that you can include a few little details to keep the little ones at your wedding entertained (and quiet)! 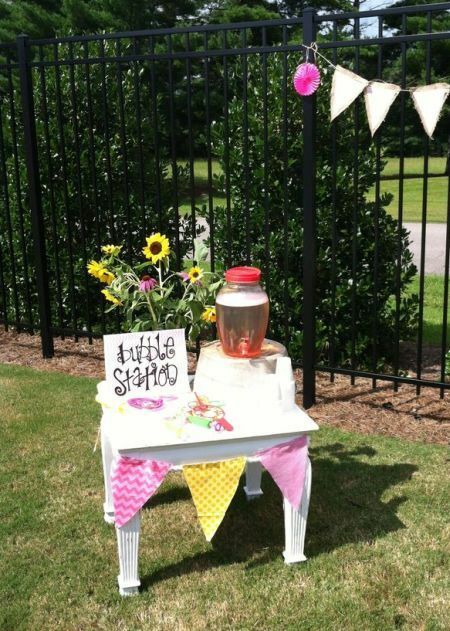 If you’re looking for some cute ideas of how to entertain kids at your wedding, keep reading! 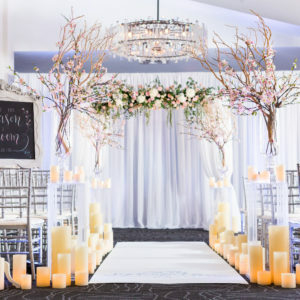 This is the perfect option for an outdoor ceremony or reception. Fill a juice dispenser with bubbles and have some cups and bubble wands nearby. Everyone loves bubbles, especially kids- we guarantee this will keep them busy for hours! Having a kids table loaded with activities is a great way to distract little ones from hanging onto their parents, and will make them want to stay even later! Prepare one table by loading it baskets of fun supplies like crayons, coloring books, and puzzles. Nix the expensive linens and opt for butcher’s paper instead. There’s something satisfying about being able to write on the table, even as an adult- amirite? From our experience, adults will enjoy these as much as the children! Providing your guests, both young and old, with glow sticks as the dance floor opens up is sure to make everyone want to get out of their seat! Not to mention, you’ll get some super fun reception pics. 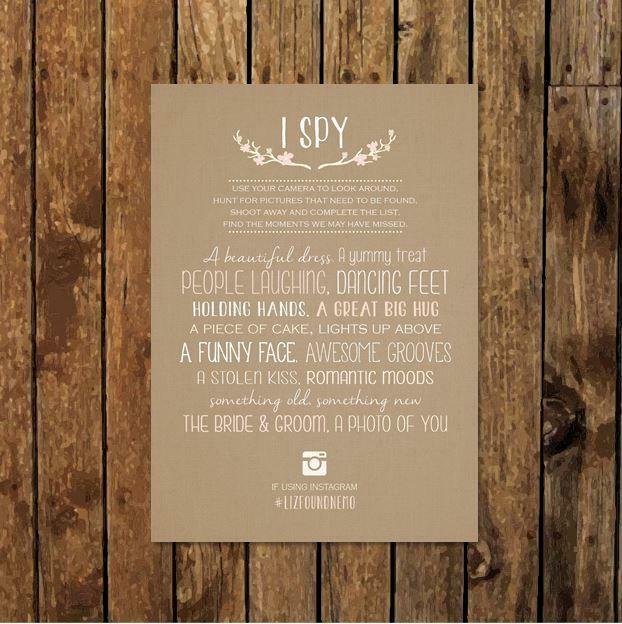 We hope that our little list can help you from doing the impossible- keep kids entertained at your wedding! If you have any other ideas to help keep the little ones content, leave us a comment below and let us know! 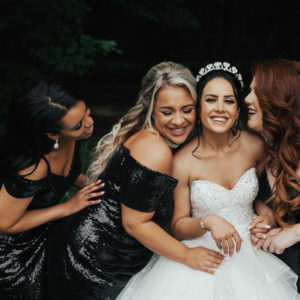 Your bridal party has (hopefully) been at your beck and call throughout the planning of your wedding, and it’s customary to reward their efforts with a token of your appreciation upon the arrival of your big day. 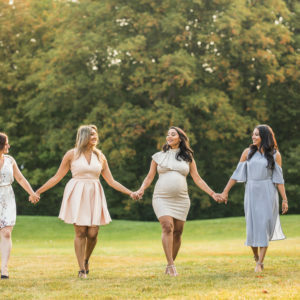 We know that it can be pretty tough to choose one item that you think all of your bridesmaids or groomsmen would appreciate, so we’ve come up with a list of a couple different options for bridal party gifts that we think anyone would be happy to receive!. 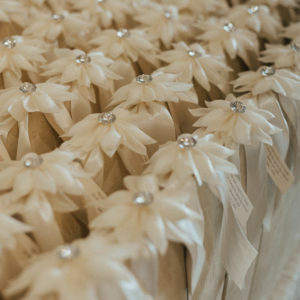 Keep on reading if you’d like to find out about some awesome bridal party favors. 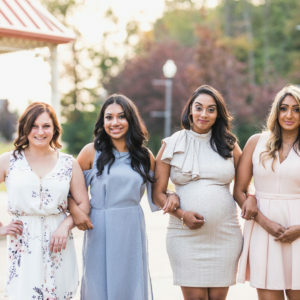 These babies will be the superheroes of the day for your bridesmaids, and probably for you, too. Easy to fold up and stuff into your clutch, your bridesmaids will be forever thankful when they realize can pull these comfy flats out and finally take off the heels that they’ve been teetering in all day. This is a great option, especially if you’re on budget; we’ve found these Sidekicks Foldable Ballet Flats on Amazon for less than $20! If your bridesmaids are into makeup, and even if they’re not, there’s no doubt they could use a cute little compact to throw in their purse. Useful when touching up your lipstick on the way to work or taming those frizzies once you get to the office, we’re positive your bridesmaids would appreciate this present. You can find reasonably priced engraveable compacts at Things Remembered. Jewelry can be a risky choice, since not everyone has the same taste. However, if you choose something that’s simple and very basic, all of your maids will be able to work it into their everyday accessories. That’s why we love the idea of matching bangles- simple, and easy to wear! Kate Spade has some gorgeous Bridesmaid Idiom Bracelets that come in both gold and silver. You can’ go wrong with a jewelry box. We’re sure most of your bridesmaids could probably use a place to keep their more precious jewelry. You can’t go wrong with this adorable little box from Things Engraved. PRO TIP: IF YOU CAN GET IT ENGRAVED OR MONOGRAMMED, DO IT. 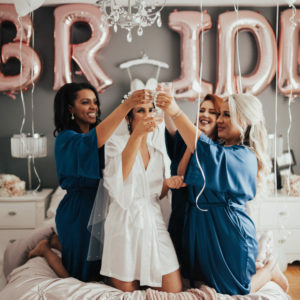 PERSONALIZING YOUR BRIDAL PARTY GIFTS IS A LITTLE STEP THAT’LL SHOW THEM HOW MUCH YOU APPRECIATE THEM. This is one of the most universal presents you can choose for your groomsmen; at some point or another, we’re sure they’ll need a nice pair of cufflinks. Easy to choose, easy to please. Find different styles of cufflinks to suit your men at Brookstone. Every groomsmen should have a classic timepiece in their collection. Not to mention, this would be a very dapper accessory for them on your big day! Spruce up the accessory wardrobe of your groomsmen with a classy pocket watch from Things Engraved. Save your groomsmen from those dreaded bulky wallet bulges by gifting them a trendy money clip or card case. Easy to keep cash or cards handy without having to carry around a full-sized wallet, this would be a phenomenal present that would come in handy during those special occasions. You can find sleek, engravable money clips and card cases at stores like Things Remembered. 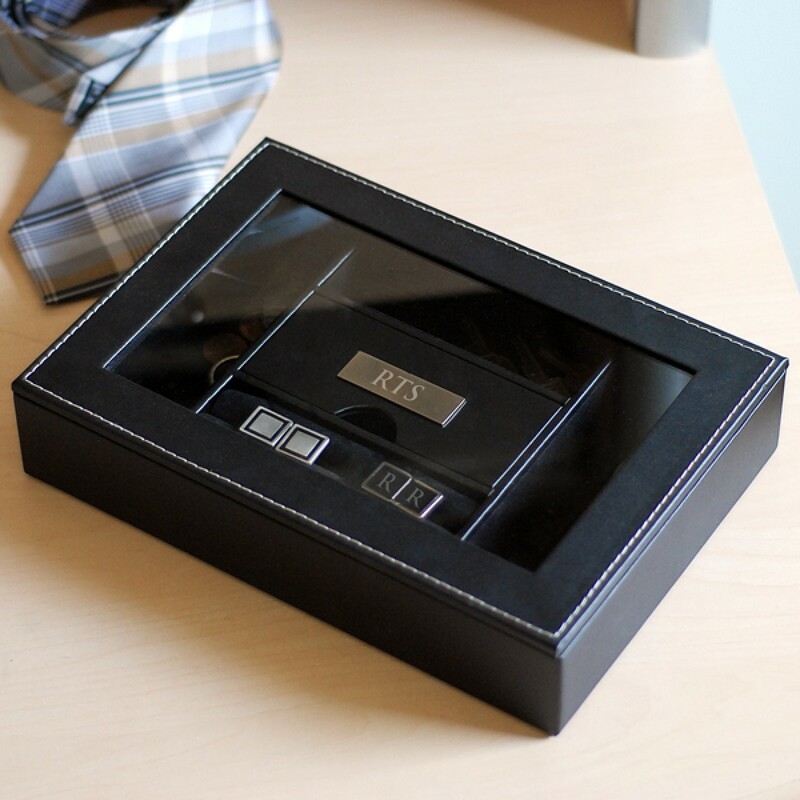 Pretty much a jewelry box for boys, we’re positive your groomsmen would find themselves storing their most valuable items in a spiffy valet box from The Wedding Shoppe. This option (and the next) are fantastic ideas, especially if you’re having a destination wedding. Passport covers are a small way to make your travels feel a little more luxe. We’ve seen some adorable covers on Etsy! 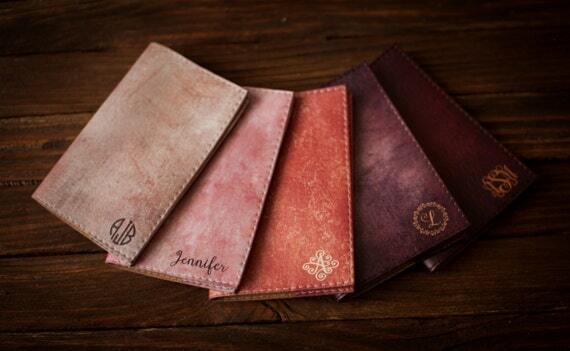 A personalized leather luggage tag would be the perfect way for your bridal party to easily identify their bags. Getting tags monogrammed with each person’s initials in gold or silver is a cute way to spruce this option up! Check out the options on Shutterfly; you could even add photos to the tags that they offer! 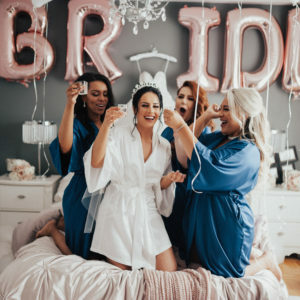 Your hardworking bridal party will definitely deserve a little R&R after your big day, and a fluffy robe would be the perfect relaxation accessory. 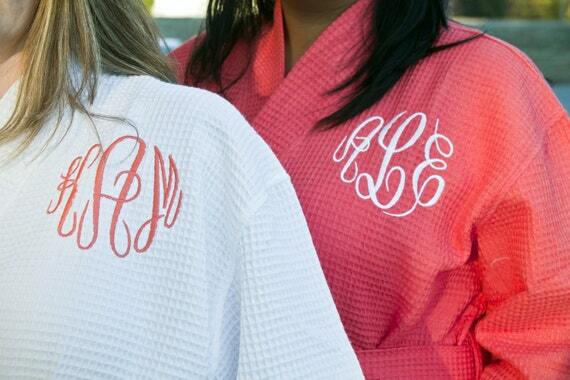 The Bay has some luxurious robes that you could also get monogrammed. A classy little flask would be a great gift for your entire bridal party- who doesn’t like to keep a good swig of vodka handy? Things Remembered has some classy designs to choose from. 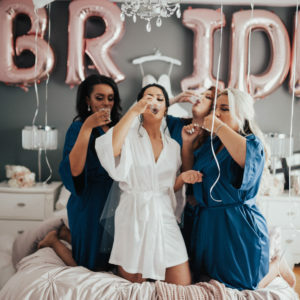 This list definitely isn’t exhaustive, but we’ve outlined some pretty cute options that we hope will help you on the quest of searching for your perfect bridal party presents. 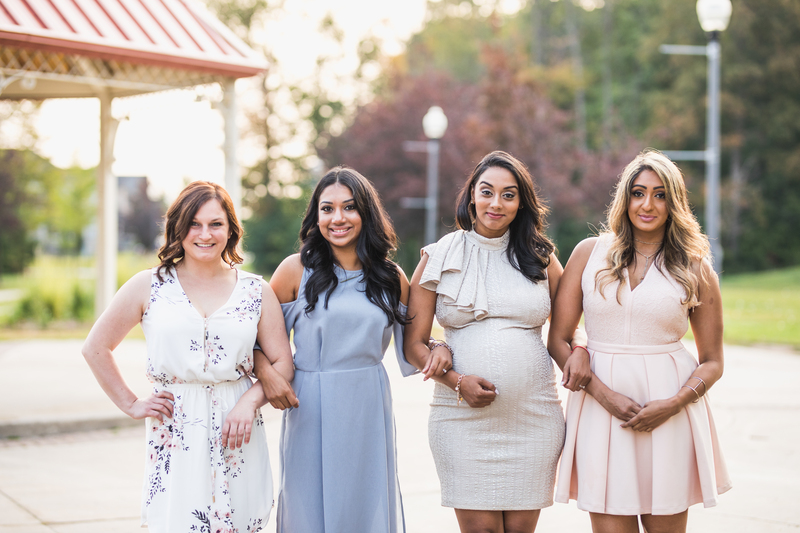 Have you been a part of a bridal party and received an awesome token of appreciation? Think we left out any cool options? Leave us a comment below and let us know!